Mobile Link is the new cellular remote monitoring system from Generac that lets you check your generator’s status even when you’re away. Using your computer, tablet or smart phone, Mobile Link provides a personalized web portal where you can view your generator’s status, maintenance schedule, event history and much more. Get emails or text notifications the moment there is any change in your generator’s status. Customize your notification settings to choose what type of alert you want to receive and how often. With Mobile Link, you will always know exactly what your generator is doing, or not doing, when you’re on the go. 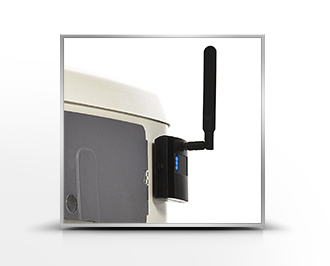 Mobile Link is designed for use with a generator equipped with an LCD display. Mobile Link is compatible with most 2008-and-newer air-cooled standby generators and 2010-and-newer liquid-cooled standby generators from Generac.